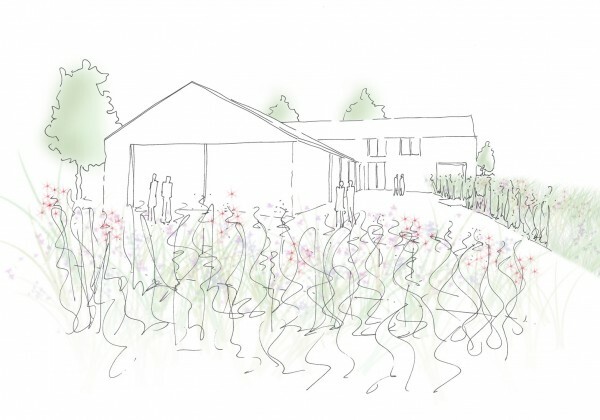 The masterplan for this project takes its inspiration from the elegant simple lines of the proposed new house, and the incredible rural setting of the site. Paths are mown through meadows, grids imposed on them. In some places order, in others nature. Structure is created closer to the house with hedges. Stone terraces compliment the materials of the house, and are softened with surrounding planting, while an axial view through the house links the water in the orchard to the north with the water in the garden to the south. Planting is loose and natural and defines the spaces around the house. Ornamental grasses and perennials mirror the naturalistic setting of the countryside and the textures of the wildflower meadows, but are more controlled and elegant. Hedges create structure and control views. 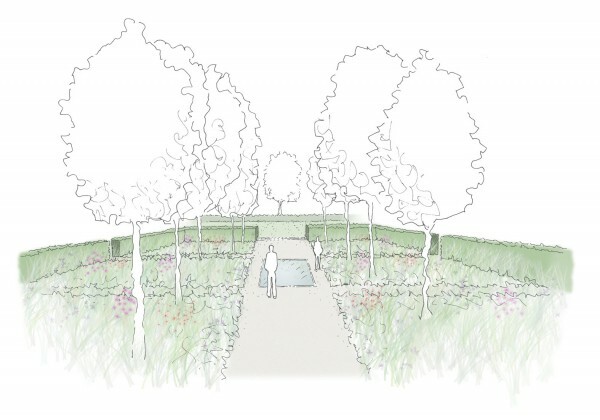 Planting is reflected in pools creating calm points within the gardens. An orchard is created around remnants of an old orchard, in long meadow grass mown into grids. 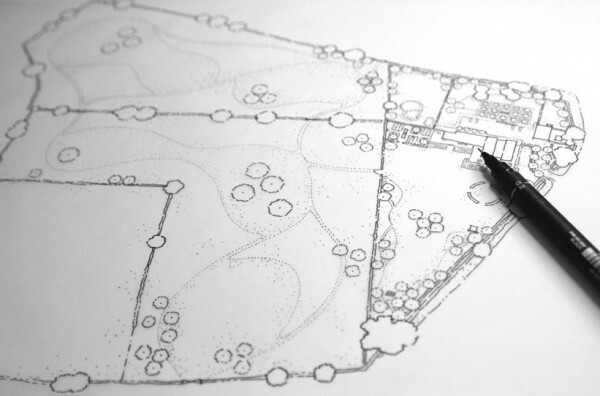 Further away from the house an existing copse of trees is enhanced to create a woodland area with fire pit. 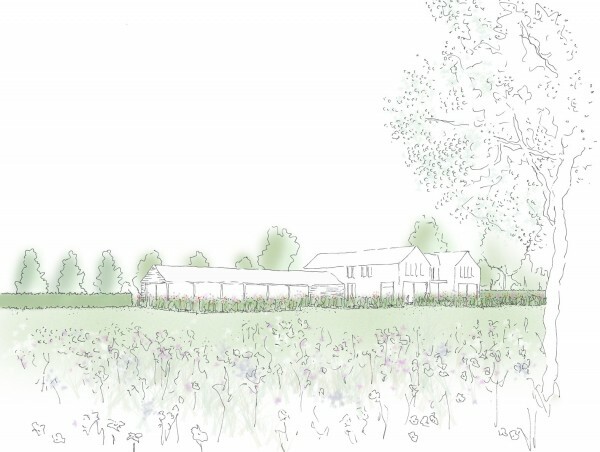 Beyond the five acres of garden are seventeen acres of open farmland with stunning views of the countryside beyond. This area will have a parkland feel with meadow, short grassland, and meandering mown paths linking the two. The house is designed by McNulty Architects.